I have always been interested in margins. In the standard interpretation, to be marginalized is to be deprived, but the margins also offer a unique perspective on the mainstream. In this sense, the margins allow access to truths that we cannot see from the center. So it was when I moved from England to the U.S. I was removed from the familiar and my new country was still largely a mystery to me; however, only at such junctures do we see ourselves uncluttered by context. And so, I continue to try to live in the margins, to develop alternative ways of seeing. Indeed, it is to this end that I have worked as a teacher, director and as a visual artist. 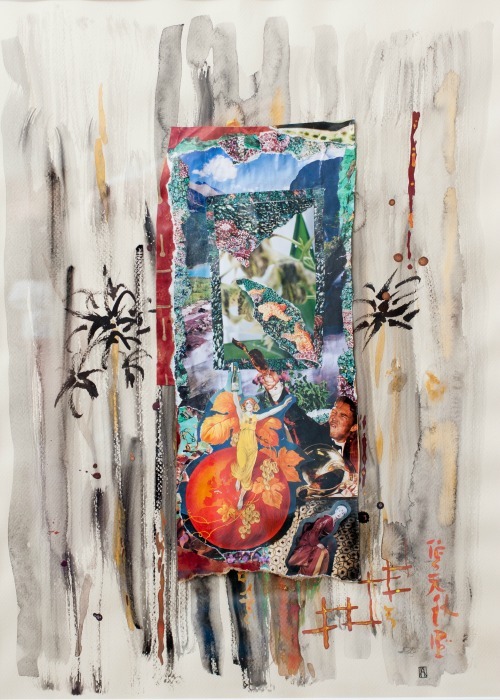 My interest in collage focuses on familiar images and ideas that are presented in surprising ways, thus causing the viewer to question the accepted story and to develop a new version. The antecedents of my work lie in a lifelong fascination with the multiple perspectives that comprise our notion of reality. Mr. Atkins recently retired from Tower Hill School as a professor and Chair of the English Department. He is a long-standing member of the Christina Cultural Arts Center Board of Directors and the Kuumba Academy School Board. Mr. Atkins also chairs the expansion planning team for the CCAC/Kuumba partnership. 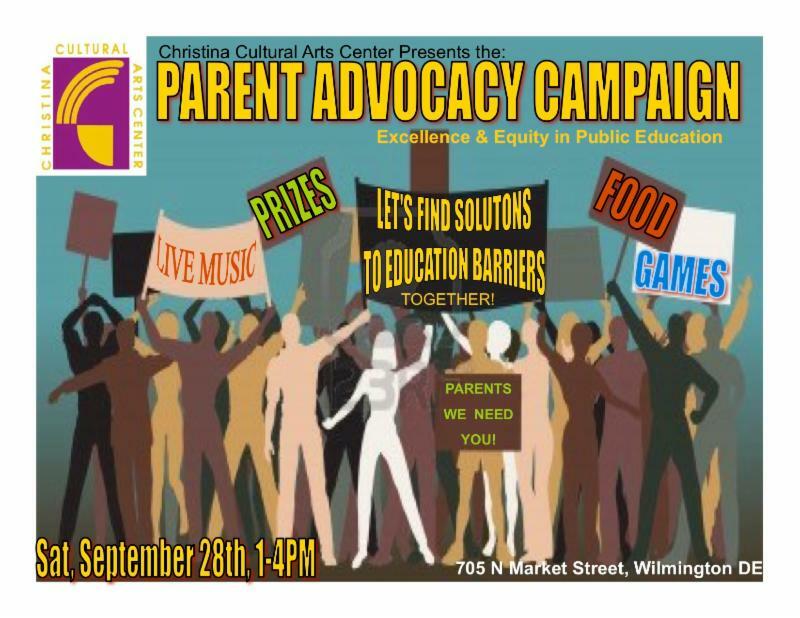 The campaign's goal is to raise awareness among parents and child advocates for the need to transform education of African-American, Hispanic and low-income students living in the City of Wilmington. Advocates for Excellence in Education will participate in a five-part workshop series that will help increase participants' knowledge about the state of education for students living in the City of Wilmington. Models for effective education will be shared. Participants will collaborate with others to actively shape a 2014 agenda for solutions that improve academic and personal outcomes as well as advocate with School Districts, the Delaware Dept. of Education, the Rodel Foundation, Mayor Dennis P. Williams, Wilmington City Council, Governor Jack Markell and Delaware Legislators. Participants will be equipped to provide leadership in parent-school-community partnerships and form a city-wide advocacy organization. The Drop-Out Crisis: What Contributes to the Problem & How Do We Reverse This Trend? What is the Achievement Gap? What is the Attainment Gap? Do Race & Income Matter? Mark Your Calendars for "Carols in Color"
Eleone Dance Theatre, Christina Cultural Arts Center Inc., Revive the Village A United Way of Delaware African American Initiative & the people of Wilmington celebrate the Christmas holiday in its true spirit. narration. Carols is cross-cultural, non-denominational and brings audiences to their feet! Carols is conceived by E. Leon Evans II. Meet Shawn Lamere Williams, Artistic Director, Dr. Shelia Ward, Executive Director and the Colors cast immediately following the performance. 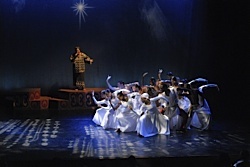 Eleone Dance Theatre presents "Carols in Color"